We specialize in elder abuse and elder neglect lawsuits against nursing homes and other long term care facilities throughout California. Our mission is to obtain justice for our clients when there has been neglect or abuse by a nursing home. “No Elder Abuse” . . . It’s Not Just Our Legal Specialty — It’s Our Passion! Your call is confidential and absolutely free. And, our services are performed on a contingency fee basis, which means that there is no fee until we obtain a recovery. Contact us promptly if you suspect that your loved one or friend has been the victim of elder neglect or abuse. Call us toll free telephone at 1-877-270-4700 anywhere in California or, if you are within the San Francisco Bay Area, please call us at 925-820-4700. You can also send an email using the form on the right side of this page. 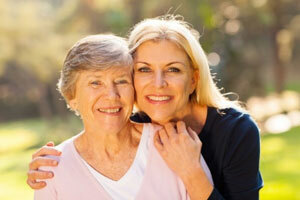 Have Questions about Elder Care Law?